Click on the link above to see a previous timetable. This is designed to give you a general idea. 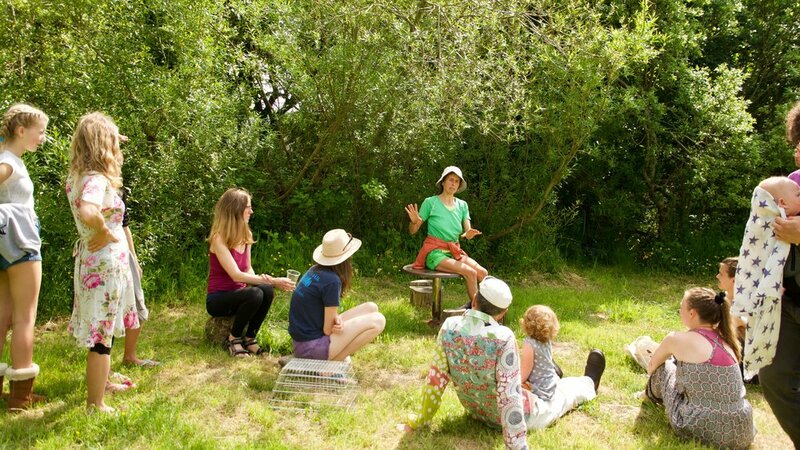 It isn’t possible to publish this year’s timetable in advance of the festival as it is subject to changes. The timetable will give you an idea of how the days are structured but you may want more information about what different classes actually entail. See below, bearing in mind that within any particular tradition, teaching will vary depending on the teacher, the students, the weather etc. These are meant as general guidelines only. You can look up any of these online where you will find more comprehensive information. Hatha Yoga – a generic term for the physical yogas – many teachers who have been trained by the British Wheel will call their yoga ‘hatha’. It can be as varied as the individuals that teach it. Most other forms of yoga also fall into the category of ‘Hatha’. 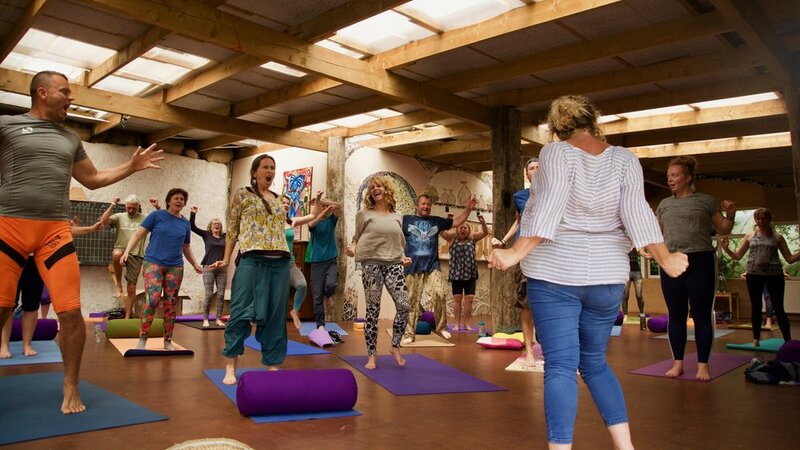 Kashmir Yoga – A gentle asana practice that utilises different teaching styles to meet the learning needs of all individuals. A deeply focused awareness process. 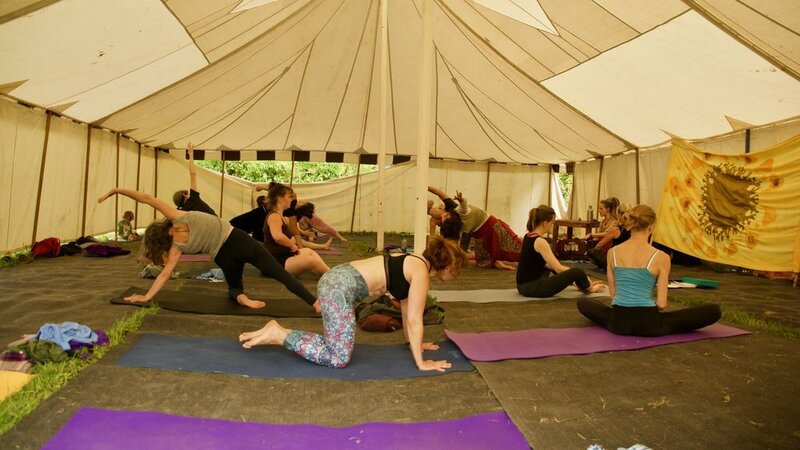 Shadow Yoga – A demanding but rewarding approach to asana using a system that combines martial arts based sequences (called ‘preludes’) and yoga. Really worth a try, the initial sequences really inform actions to be performed in postures. 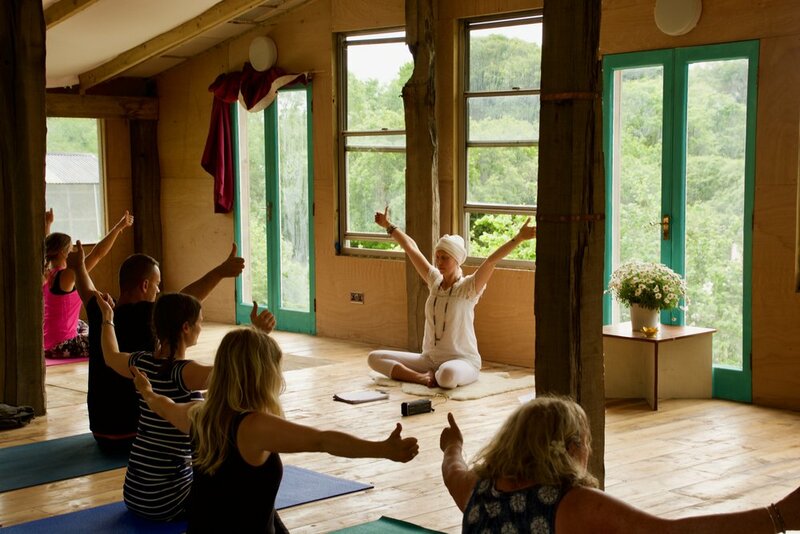 Anusara Yoga – Meaning ‘flowing with grace’ or ‘to follow your heart’, Anusara combines an uplifting philosophy with elegant physical alignment, helping students to reconnect with their innate goodness and greatness. 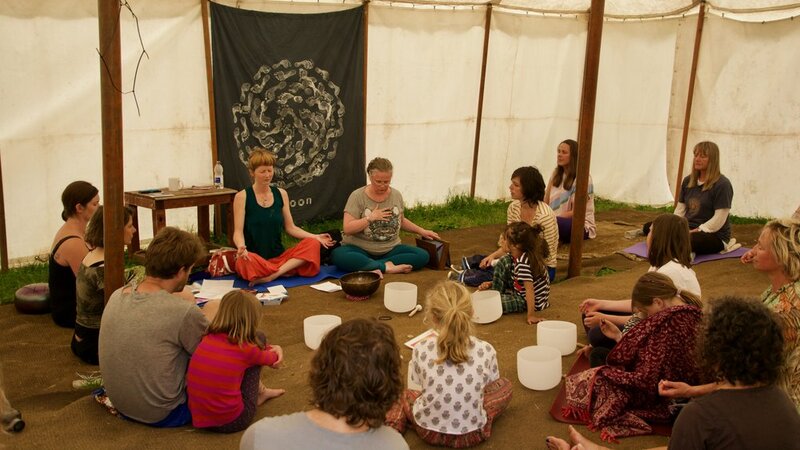 Classes are fairly dynamic, without being strenuous, so students should feel both energised and relaxed by the end. Iyengar Yoga – Fairly strenuous slow stretches with an emphasis on alignment and extension in the postures. May use props to facilitate movement and understanding. Tibetan Yoga – Unusual system of exercises using co ordination and head movements to cleanse the ‘tsa rlung’ or energy body. Interesting and powerful. Astanga Vinyasa Yoga – Heating practice of moving rapidly between poses in a relatively fixed order. Demanding for upper body at first. 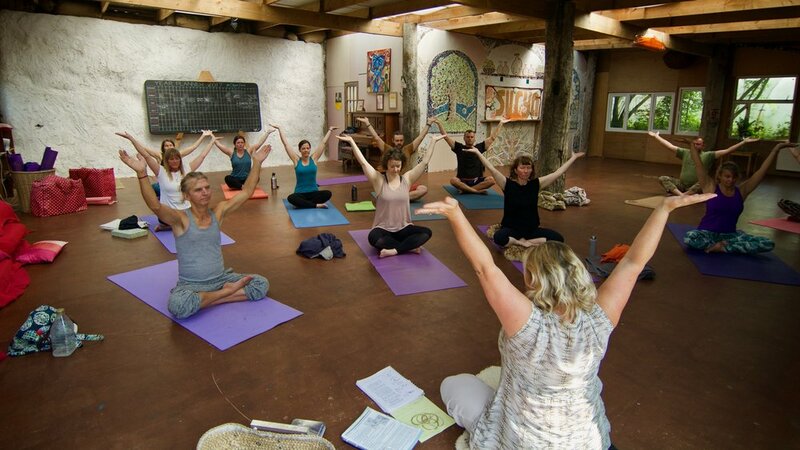 Satyananda Yoga – Comprehensive and holistic system of classical yoga still rooted in India. Posture work tends to be gentle, an emphasis on mind practices such as yoga Nidra. Our apologies for any misrepresentations or omissions. We also have a range of therapists and healers attending, some of whom will give a talk. Although it is our aim to deliver the programme exactly as stated, unforeseen circumstances can crop up. For this reason it is necessary for us to remind ticket holders that the programme is subject to changes. 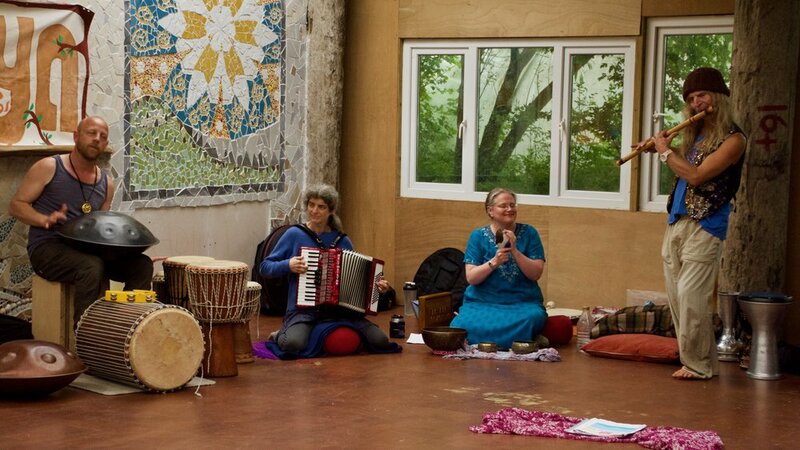 In the event of cancellation by a teacher we will endeavour to offer a similar workshop or class.